Known in some parts of the world as “fair use” or “fair dealing”, the limitations and exceptions built into copyright were designed to allow exceptions for certain kinds of uses such as criticism, parody, scholarship, and research. Imagine going to Google to settle a dispute between yourself and a friend about some bit of trivia. You type in your search query, and Google comes up empty. Completely empty. “What is going on?”, you wonder. Only then do you hear a news update on the television saying something about Google and copyright. As you listen more intently, you learn that the U.S. Supreme Court has required Google to delete its entire web index - because it never entered into copyright agreements with each individual author of each individual page on the web. This means that, by copying a page into their index and showing you a snippet of that page in their search results, Google has been violating the copyrights of hundreds of millions of people. The ruling means that every other search engine based in the United States - Yahoo, Bing, and others - will be going offline immediately as well. Fortunately, this court ruling has not happened. As you will find in the Public Domain unit, before copyright, all creative works were in the public domain. When legislators created copyright protections, they realized that allowing copyright to restrict all uses of creative works would be highly problematic. For this and a range of other reasons, when the copyright was established it explicitly declined to protect creative works from some kinds of uses - including criticism, parody, scholarship, and research. In general, these types of uses of copyrighted content that do not violate the exclusive rights of the author are known as limitations and exceptions to copyright. Of particular interest are the flexible legal doctrines of “fair use” (in the United States) or “fair dealing” (in other parts of the world). When have you engaged in exercising your rights under a limitation or exception to copyright, such as fair use? Can you recall a time in school when you included properly cited quotations in a research paper you wrote? And how does fair use benefit you (aside from enabling web search engines to exist)? Copyright law grants of a bundle of rights to authors of works. Upon creation of a work, an author receives the right to reproduce, display, perform, and exploit the work. Anyone else must get permission from the author to use the work. But to uphold the balance in copyright, there are some uses of copyrighted works which do not require permission or other clearance from the author. These uses are checks on the exclusive rights normally granted to copyright holders, and are often call “limitations and exceptions” to copyright. You can think of them as a safety valve for the public in order to be able to utilize copyrighted works for particular uses in the public interest. Some of these uses include for education and research, access for the visually impaired, for criticism and news reporting, and parody. Read Wikipedia’s introduction to this concept, and explore one of most important types of limitations and exceptions: fair use (and its cousin: fair dealing). Pay particular attention to the “four factors” that go into making a fair use determination. from “Fair Use Fundamentals” by Association of Research Librarians licensed under CC BY This infographic is specific to the United States. Exceptions and limitations differ around the world. Read over the Teaching Copyright FAQ on fair use. Check out the Fair Use Fundamentals infographic from the Association of Research Librarians. Watch the creative educational fair use mashup “A Fair(y) Use Tale” which ironically makes use of mixes of clips from Disney films. Users who wish to engage with copyrighted content under an approved limitation or exception to copyright may do so regardless of whether the work is available under an open license, such as a Creative Commons license. Read the Creative Commons FAQ to understand this issue in more detail. The are many websites, digital resources, and initiatives that aim to explain and advocate for limitations and exceptions to copyright, including the Center for Social Media’s Codes of Best Practice in Fair Use series, the annual Fair Use Week campaign, and even an interactive website that shows the fragmented puzzle of limitations and exceptions adopted by European countries. Different countries have different limitations and exceptions. There are global discussions around how to harmonize them. 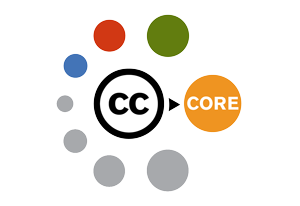 Select two or three resources directly relevant to your personal or work-related CC needs from the Acquiring Essential Knowledge content and add them to your personal Creative Commons toolkit. Adding them to your toolkit makes them easy to find and use when the need arises, and makes it easy for you to pass on resources you consider important to others. Annotate the resources with notes explaining why they are relevant and important for you and your work. In the CC Certificate social forum post your answers to the personal reflection questions posed at the start of this learning unit. Identify and comment on posts from at least two others who have similar needs or ideas. Licensed under a Creative Commons Attribution-ShareAlike license (CC BY-SA) version 4.0. Except where otherwise noted, this content is published under a CC BY-SA license, which means that you can copy, redistribute, remix, transform and build upon the content for any purpose even commercially as long as you give appropriate credit, provide a link to the license, and indicate if changes were made. If you remix, transform, or build upon the material, you must distribute your contributions under the same license as the original. Creative Commons Certificates have been created with the kind support of Creative Commons, the Institute of Museum and Library Services, and the Bill & Melinda Gates Foundation.